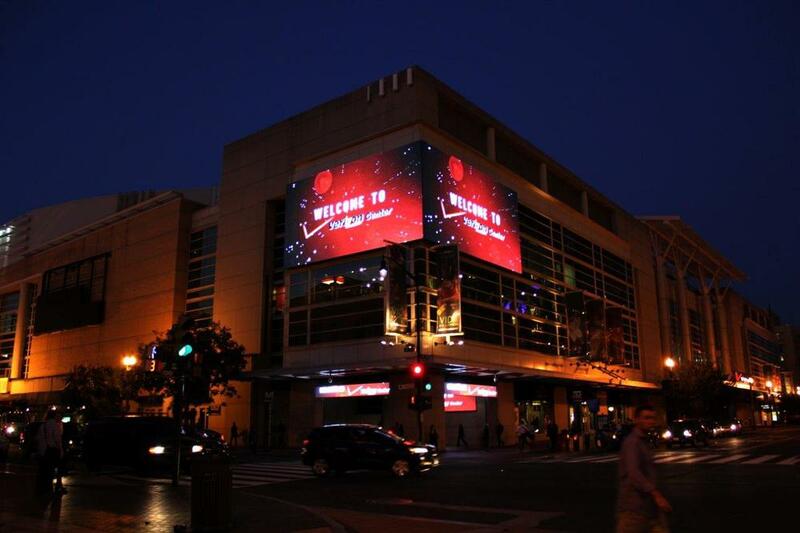 S|N|A supplied all of the display technology for the recent LED video makeover at the Verizon Center, home of the Washington Wizards (NBA), Washington Capitals (NHL), Washington Mystics (WNBA), and Georgetown Hoyas men's basketball (NCAA). A unique video display installation, the project includes nine LED screens, all of which can be seen from a single point outside the arena. The exterior renovation called for a total of nine LED faces, all essentially along one street outside the arena. 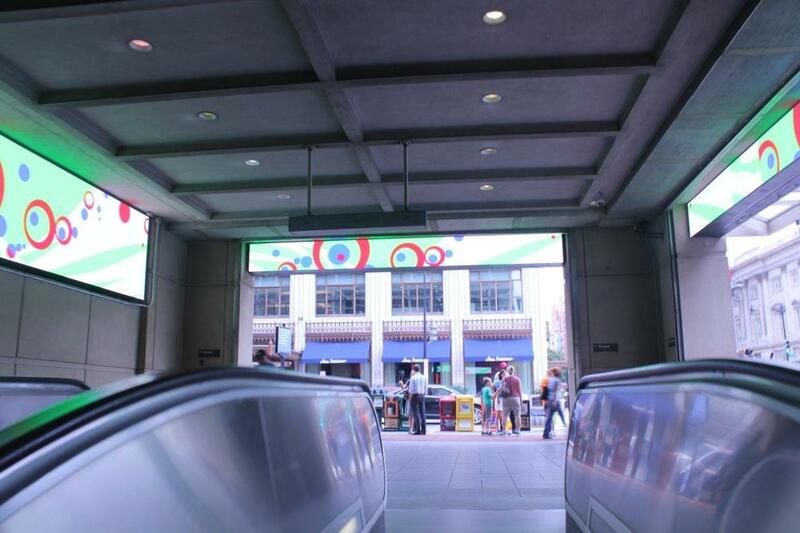 Four large screens are elevated and wall-mounted and the remaining five screens can be found in the Gallery Place-Chinatown Metrorail station entrance/exit. A viewer standing at the F Street / 7th Street intersection can take in all of the LED screens at once. 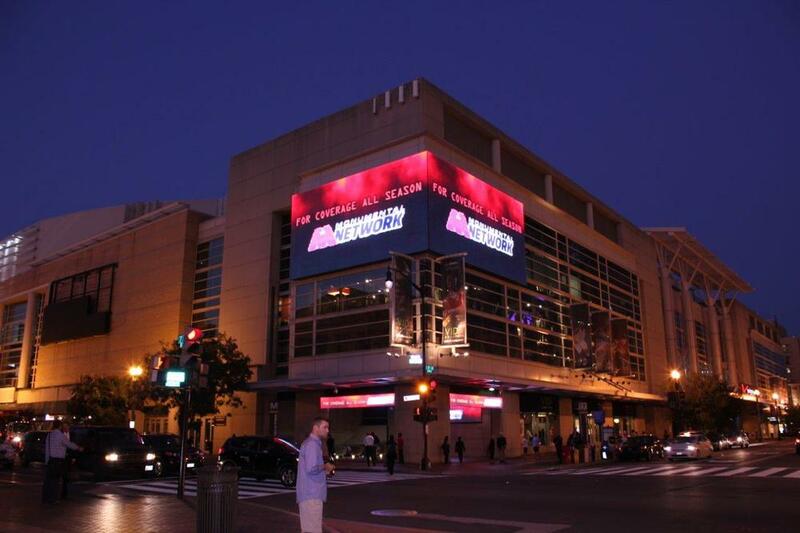 A key feature of the Verizon Center project is the use of multiple LED display technologies. The property's owner, Monumental Sports & Entertainment, had the project designed with the four different technologies, and content can be fully integrated throughout the displays. For six of the nine screens, S|N|A provided its S|Video™ product line. However, three different types of technologies are used, including 6mm, 8mm and 10mm pixel pitches. All S|Video™ LED displays utilize surface-mount device (SMD) technology. 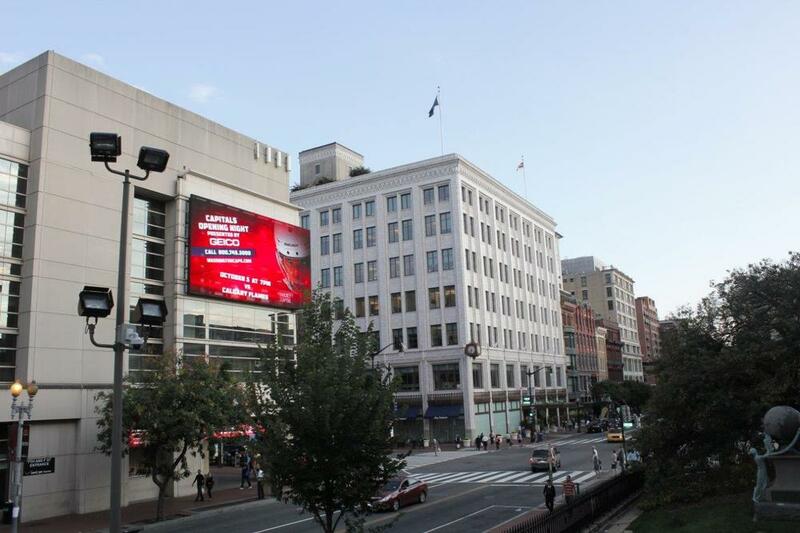 In addition, the project includes a pair of main screens at the corner of F Street and 7th Street, each built with S|ThruMedia™ LED technology. S|ThruMedia™ is S|N|A's transparent LED video display line of products, which provide high-quality video but also allows for "seeing through" the display to a building's facade given the appropriate content. Each display is 21'0" high by 40'4" wide. 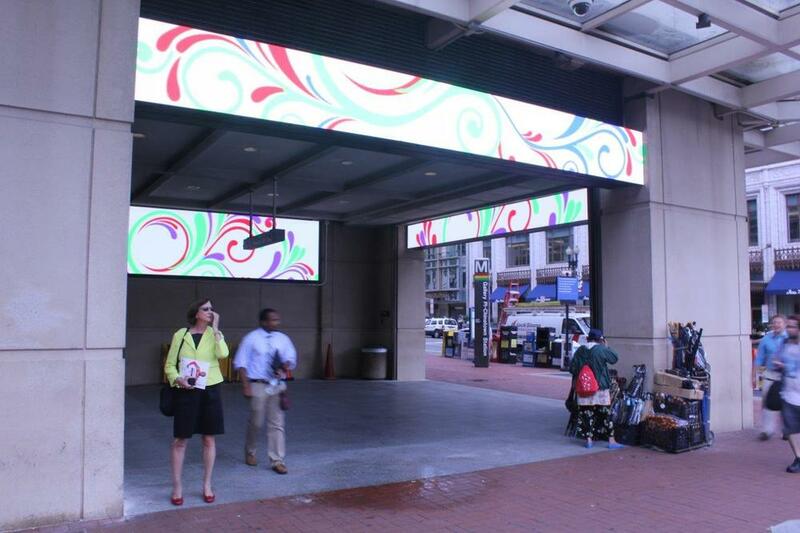 As part of the project, S|N|A provided five screens at one of the entrances/exits to D.C.'s Metrorail system. Though relatively small, these displays employ extremely tight pixel pitches as low as 6mm, providing for very high-resolution signage. 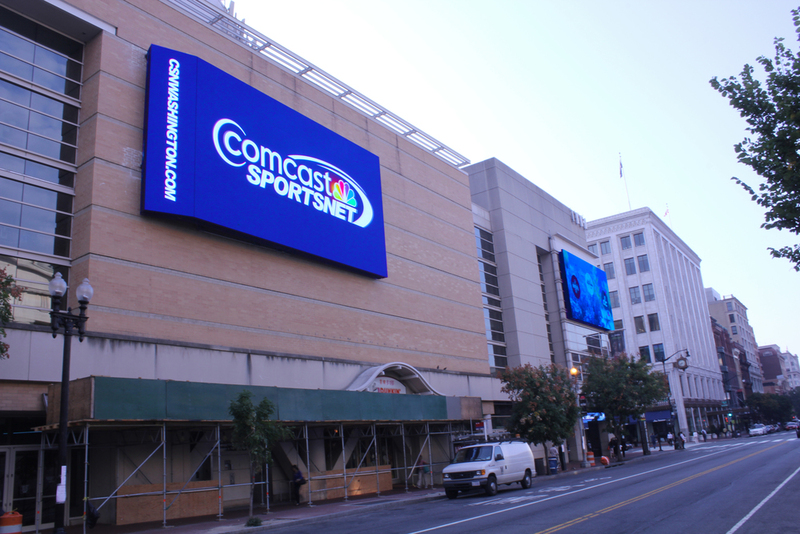 Mounted to the west wall of the Verizon Center at the arena's 7th Street entrance are two 10mm displays. These screens - both featuring a 160-degree tilt for added effect (and viewing experience) - mirror each other on either side of the entrance door. 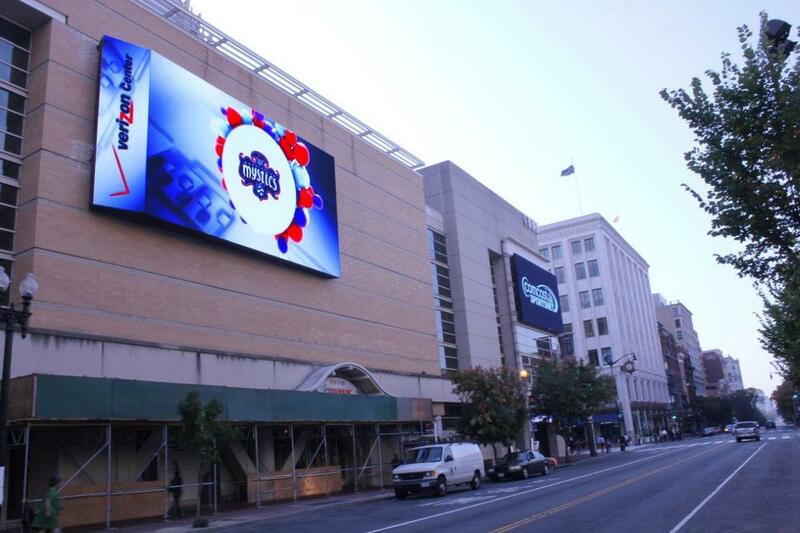 At 720 pixels high by 1536 pixels wide, these are the highest-resolution displays in the Verizon Center's digital makeover.